I first published this article 7 years ago. It’s unfortunate that so many people still fail to understand the need for robust Safeguarding processes, especially when the same people often express mock outrage at child abuse cases that the Safeguarding system attempts (& often manages) to prevent. Child and ​Adult Protection have become increasing concerns over recent years. Several high profile incidents involving abuse of vulnerable people have prompted UK society to look again at the systems we have in place to safeguard those who need it most. 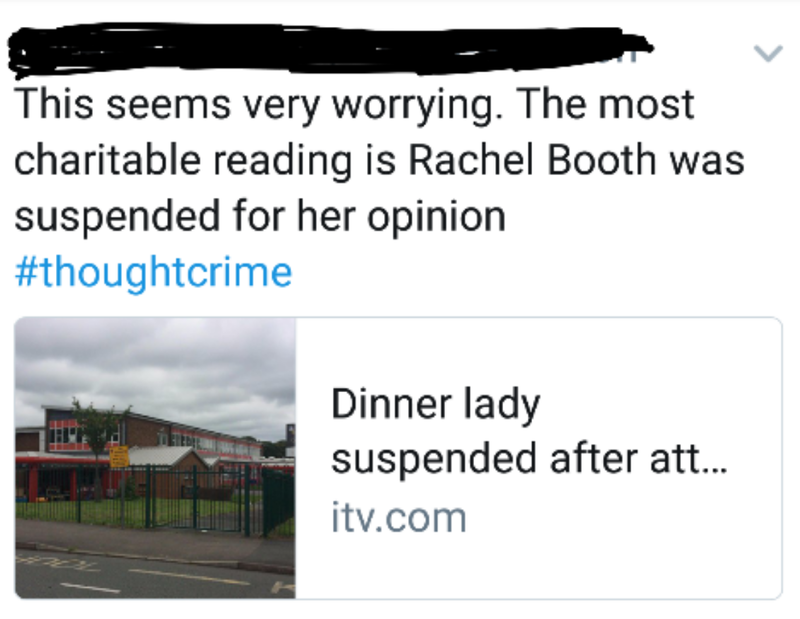 Social media currently features ill-informed and often frankly unconvincing outrage on behalf of Rachel Booth, a school dinner lady who attended a rally organised by Tommy Robinson (EDL founder & notorious Islamaphobe). Mrs Booth has been suspended from her job as a result of her attendance at the far right rally. She has broken no law and is not being charged with any crime yet her job is in jeopardy (an inquiry is ongoing). Many people consider this to be abusive and an affront to freedom of speech. One particularly ill-informed right-winger even describes it as a ‘thought crime’, reminiscent of Orwell’s dystopian novel ‘1984’. The inappropriateness & ironic hyperbole of this far right Tweeter’s statement is obvious when you realise what inspired it. 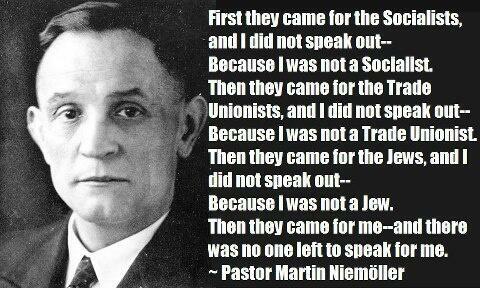 Pastor Martin Neimoller was writing about German Nazism, a regime not unlike Robinson’s EDL. The Nazis executed vast swathes of people from minority or politically inexpedient groups without a hearing, often simply because of who they were. The British Safeguarding system aims to ensure the safety of vulnerable people and minorities through proper investigation focusing upon what people do. As a trainer I am convinced that people make sense of things best when they know the ‘how’ and the ‘why’ as well as just the ‘what’. So read on to understand why this suspension isn’t only appropriate but, in Safeguarding terms, absolutely necessary. We’ll begin with the Protection of Vulnerable Adults (POVA) system. This was introduced by the Care Standards Act 2000 with guidance from the government’s ‘No Secrets’ document. This outlined the definitions of abuse and of vulnerable adult. 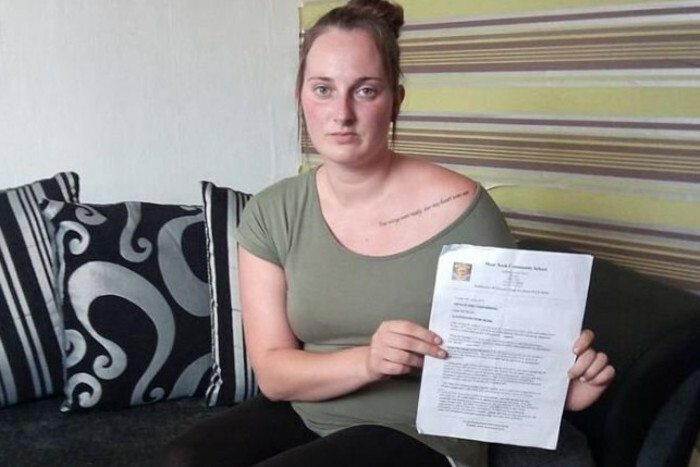 It also created the POVA list – a register of the names of people who were deemed to be unfit to work with vulnerable people because they represented too high a risk. These three lists were operated by different organisations but all relied upon the enhanced CRB check. The CRB check (Criminal Records Bureau) check provided information on criminal convictions. The enhanced CRB check provided more than just this basic information. It also noted suspicions and unproven allegations that might be relevant. When delivering training on adult protection and safeguarding I almost always come across objections when I make this point. This is understandable because it seems to contradict the long-standing legal principle of the presumption of innocence: the idea that we are innocent until proven guilty. Imagine a teacher – a good teacher – we’ll call him ‘Bill’. Bill has been in the job for many years and gets great academic results for most of the children he teaches. Bill specialises in the 7 – 11 year old age bracket. Some of the children Bill teaches tend to do very badly though. They tend to be little girls with blonde hair and they often become withdrawn and emotionally needy shortly after joining Bill’s classes. I don’t think I need to be too specific here – the results of paedophilia are well known and the above scenario illustrates the point well enough. Now imagine that this teacher has been working in a particular school here in Cumbria for a few years when he notices that some of the parents have taken to ignoring him. Bill also notices that when they’re waiting for their children at the school gates some of the parents tend to bunch together and seem rather conspiratorial whenever they see him. Bill’s no fool. He knows what’s about to happen. It won’t be very long before he’s formally reported to the local police. So Bill applies for other jobs in other schools out of the area. His overall academic record is good and the head will give him a good reference (not least because she’s heard the rumours too and wants rid of the problem). Bill leaves Cumbria and takes up a post in a school in the neighbouring county of Lancashire. There’s no conviction and so no information follows him. He’s in a different education authority with a clean slate. A couple of years later, having continued his abuses with a fresh group of Lancastrian children, Bill moves again, perhaps to Lincolnshire this time. And then a year or two later he moves once more – this time to your home town. Now Bill’s teaching your children. It doesn’t take a genius to understand that if we can only use convictions to identify abusers we will fail more often than we succeed. But this gave us a dilemma as a nation. Whatever we do we cannot have a perfect system – mistakes will be made. The choice we have had to make as a society, the way through the dilemma, is to consider what the price of our mistakes will be. If we rely upon convictions only then the price will be countless abused children. Exactly the scenario that ‘libertarians’ like the quoted Twitter-user & far right Islamaphobes like Tommy Robinson claim to oppose. Imagine how many youngsters a teacher will come across in the space of a career. How many vulnerable elderly residents might an abusive ’carer’ come into contact with too? If we use wider sources of information the price of our mistakes will be some people having to get a different job. Neither outcome is ideal but then it’s not an ideal world. Which price do you consider to be the lesser of two evils? I think – and the government thinks – that the lesser price is the fact that some people will need to get a different job. So child protection systems solved the problem, at least in part, by considering wider information and adult protection has followed suit – hence the enhanced CRB check (now the DBS). Even then it doesn’t necessarily mean that the individual whose information shows up on the check is barred from working in the care sector but they may have some things to discuss with prospective employers at interview. Only in the more extreme cases are people actually prevented from working with vulnerable adults and that was what the old POVA list was about. People whose names ended up on the POVA list were legally barred from working in social care. In 2005 Kings College London produced a report analysing the first 100 referrals to the POVA list. Their findings were significant and in parts very worrying. The document can be viewed online here. Firstly it was clear that the vast majority of referrals came from the independent sector with only around 5% of referrals generated by the NHS. This is unlikely to be because the NHS does not have any abuse issues – in fact it may demonstrate a culture of neglect and ‘turning a blind eye’ that needs to be addressed as a matter of urgency. When abuse in the NHS does come to light it is often extreme and systemic as was demonstrated in the North Cornwall scandal of 2006. The report also noted that in many cases abusive practice had been tolerated and left to continue for long periods. This was especially true in smaller establishments. The vast majority of abuse involved front line workers. Mental health problems experienced by the alleged abuser (often linked to working conditions). Although several workers were dismissed and some were reported to the police not all of them were prosecuted. This is because it can be difficult to establish guilt in a court (beyond reasonable doubt) even when there is enough evidence (balance of probabilities) to dismiss them. Differing ‘burden of proof’ has been a long-standing problem, especially in child protection. Child protection (CP) is an area of practice that has provided many answers to problematic issues and so it was used as a basic blueprint to guide adult safeguarding procedures. Other problems identified by this and subsequent studies involved the lack of partnership working between sectors and what appears to be an element of ‘preciousness’ in some local authorities with regard to the sharing both of information and of resources. In response to these sorts of concerns and also serious incidents such as the Soham murders (Ian Huntley) and the case of Miss X (Scottish Borders Enquiry) new legislation was drawn up and has been implemented throughout UK. from abuse, London, Department of Health. Collection, London, Department of Health. inquiry’, in: Stanley, N. and Manthorpe, J. (eds) The Age of Inquiry: Learning and blaming in health and social care, London, Routledge. response to No Secrets’, The Journal of Adult Protection, 4(1) pp. 4-14.
analysis of codes of practice’, Journal of Adult Protection, 6(1) pp. 4-12.
guide for employers and managers, London, NMC. This bulk of this (now slightly updated) article first appeared on Stuart’s personal blog early in 2010. It has been reposted here in response to current events. Next What’s it like to hear voices?